Awakens the writing muse within us. Whom we look up to, hoping to emulate their success. For me, I have three such authors. It was midway through reading her Fever series that I realized I had a story I wanted to tell. I couldn’t get enough of Mac and Barrons. I wanted more and yet I wanted something different. Mac is the quintessential romance heroine: blond, skinny and irresistible and while I enjoy her character I was tired of reading about irresistible skinny women. I knew there were women out there who were plus size that would read this and many other books and wish this could be them. I wanted them to know that it could be. You can be fat and still found irresistible but you hardly ever see this portrayed in movies or books. If you do read a romance with a plus size heroine you spend the whole book listening to her put herself down, not believe she is worth the attention of the hero and fear he is just looking for the experience of boinking a plus sized girl. Slowly, I started thinking about what kind of heroine I would create, how she would portray herself, how she would interact with the hero. Then a freak floor surfing accident left me bed ridden for a month (yes, you read that correctly) and as I was scrolling through Pinterest I stumbled across a character worksheet. Intrigued with nothing better to do I filled it out. One thing led to another and Destiny Be Damned was born. While I don’t write in the same genre or style as KMM her ability to foreshadow and weave plots together never ceases to amaze me. Not to mention her books are just “feckin” awesome! Honestly, this shouldn’t come as a surprise. If you’re a romance writer in America you are going to look up to Nora Roberts. The sheer number of books alone is enough to inspire awe. Just in case you were wondering it is well over 200. Her first book was published in 1981 (Irish Thoroughbred) which would mean she’s been churning out books for at least 35 yrs. I’m no math wiz but I’m pretty sure that means she has had times where she’s published more then 2 books a year. Here I am still trying to get my first book ready since 2013. Nora isn’t the only author to achieve that level of production. However, she hasn’t just churned out books, she’s successfully entrenched herself in the romance genre around the world, her books are always on the New York Times best seller list and usually resides in the #1 spot for weeks at a time. Not to mention she has amassed hordes of loyal readers spanning generations not only under her original pen name but other pseudonyms as well ( J.D. Robb, Jill March & Sarah Hardesty). Her online advertising and the way her name is marketed are always on point. Even though she’s been highly successful for many years you wont find her hold up in some out of the way place just enjoying her success. She has been and still is very much in touch with writers and readers alike. You can find her attending events throughout the year. Matter of fact she has 5 events listed for this year, check them out. Did I also mention she is a fellow RWA member who hails from the same state and county as I do? While I doubt I will ever reach the number of books she has published I do hope to gain loyal readers like hers who will pass their love of my books onto the next generation. I also hope to be as connected and available to my readers as she is. Who inspires you? What author inspired you to write a certain way or even at all? Have you read the Fever series from Karen Marie Moning? What did you think of it? 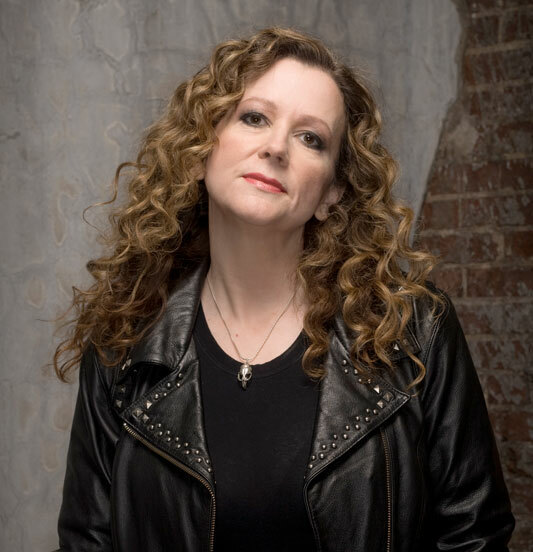 Have you read the Anita Blake series from Laurell K. Hamilton? What did you think of it? This entry was posted in #curvyreader, Uncategorized and tagged Authors, Darla G. Denton, J.D. Robb, Karen Marie Moning, Laurell K. Hamilton, Nora Roberts, Romance, Romance Writers of America, RWA, The Anita Blake Series, The Fever Series. Bookmark the permalink.